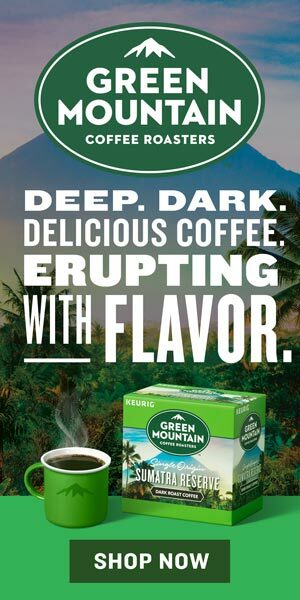 Keurig Green Mountain Coffee is a well-known Vermont-based company. The focus of this company is on making a high-quality, but also affordable coffee. After Keurig expanded their business from the only commercial uses, they became a well-known brand used by millions of people around the world. There are plenty of different single serve coffee makers on the market. It is not very easy for a customer to choose the right one, considering efficiency, price, features and brand. For a more complete list of single serve and k-cup coffee makers, check out this post by Coffee Dorks. 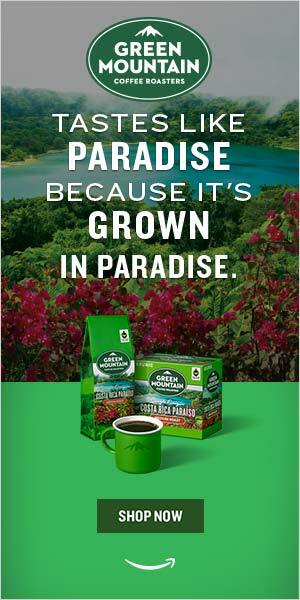 So, a well-known brand like Keurig should naturally be the first choice for all those coffee lovers. Among numerous types of coffee makers, in this article, we will single out a premium machine, Keurig K575 Single Serve K-Cup Pod Coffee Maker. K575 is a 12oz brew size coffee maker with the 80oz water reservoir. It has an extra-large Color Touch screen with programmable controls that include strength control, hot water, notifications, and timer. You can choose from five different temperatures. Dimensions of this machine are 13.6-inch height and 10.4-inch width. Total weight of K575 is 13.7-lb. Keurig has an attractive look, and should easily find its spot in your home. But it is not only an elegant looking machine because it comes with a variety of functions. With a full reservoir, it only takes about a minute for a cup of coffee. Maximum of cups with one reservoir is up to ten. One of the best features is its flexibility in sizes. You can brew coffee from the size of 4, 6, 8, 10 and 12oz. Also, aside from K-Cup pods, you can also brew K-Carafe too. For this purpose, you have to buy carafe separately from a size of 22, 26 or 36oz. With one carafe, which is around 26 grams of coffee, you can brew four cups of coffee. Another great feature is that you can set the boldness of the brew for your taste. There are five built-in temperatures option that helps you to get the perfect cup. If you want to have a cup of tea, or you need hot water, K575 can help you with that in just a few minutes. You only have to choose the size of the cup and click on the hot water button. Keurig K575 is easy to use because it has a large 2.8″ touch-screen on the front panel, and offers five different options for temperature. The screen has a digital clock with an automatic timer so it can shut down after the time you set. Also, you don`t need to worry about closing them, they will shut down by themselves in a certain amount of time. All in all, this machine is made to satisfy the needs of an average coffee consumer. With its compatibility for K-Cup and K-Carafe, big water reservoir and flexibility to make different sizes of coffee it steps up from various types and brands of coffee making machines. Keurig K575 is a quiet machine and very easy to set up. It is considered to be one of the best pod coffee makers on the market.